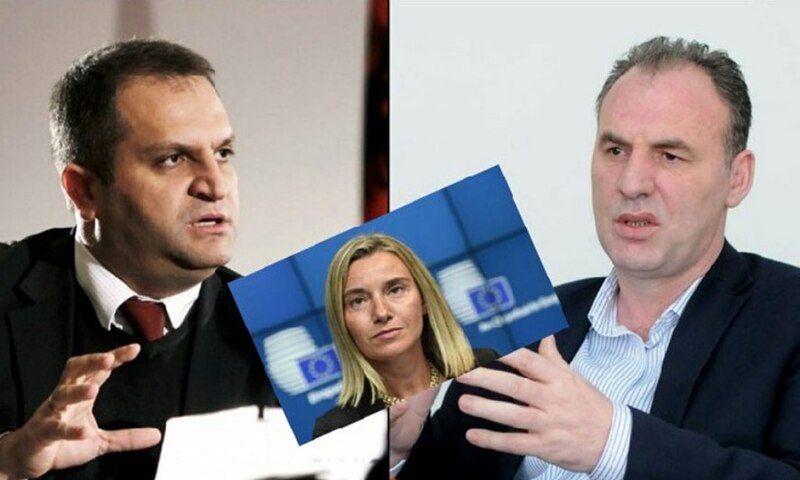 Members of Kosovo’s delegation in the talks with Serbia on Tuesday travelled to Brussels to hold a meeting with representatives from the office of EU’s chief of foreign policy, Federica Mogherini, to discuss the agenda of this process. The co-chairmen of this delegation, Shpend Ahmeti and Fatmir Limaj have travelled to Brussels in a very discrete manner, as the media received no announcement of this visit. Deputy Prime Minister Limaj, who also heads Kosovo’s delegation in the dialogue with Serbia, told KTV that this meeting discussed the possibility of launching a new round of talks. “We have made our objectives very clear. We’re going there determined that this process of dialogue cannot be dragged on for years. We’re going there with very clear goals in mind: Kosovo to be recognized, the country to become a UN member, the five EU member countries to recognize its independence and for the agreement to be binding”, Limaj said. The senior Kosovar official also said that the issue of tariffs was also brought up in the meeting. “We asked the EU not to allow either side to impose conditions for the start of the dialogue. We need to go back to the table of dialogue and discuss all pending issues that exist between Kosovo and Serbia”, Limaj said.